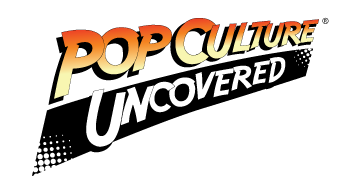 When it comes to reading and collecting comics, I usually tend to stay away from stories with supernatural elements in them. This is not the case with the current Shadowman series published by Valiant Comics. 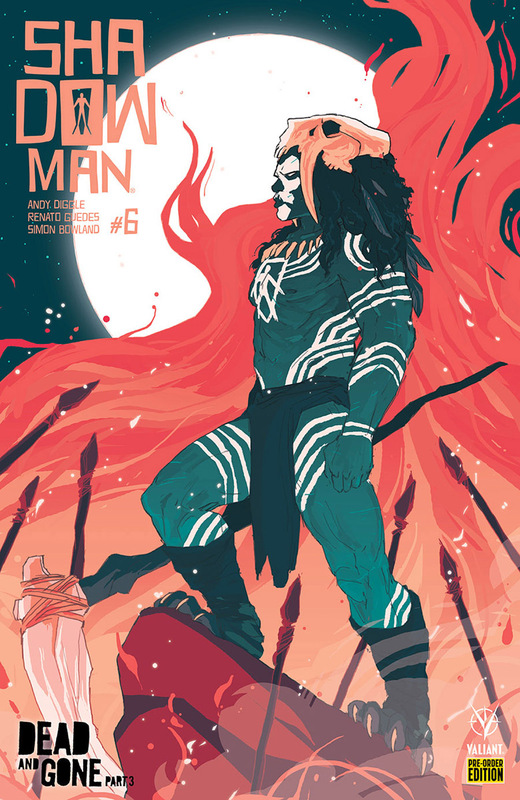 Shadowman #6 tells the story of where Jack’s soul has gone. His soul was forced out of his body causing Jack to die and the only hope of resurrection is to find his soul. Jack’s soul has traveled back in time to the year 40,000 BC to the continent of Africa. There his soul is embedded in a strong warrior. Meanwhile, Alyssa has enlisted the help of Doctor Mirage to try to find Jack’s soul. Will they be able to find it? The writing in this book is pretty solid. Diggle tells a fairly simple story that sets up the endgame of the story. I did enjoy the interaction between Alyssa and Doctor Mirage and how they played off of each other. The scenes with Jack in prehistoric Africa are great at establishing the “fish out of water” scenario. Plus there is some good comedy in said scenes. All in all some solid writing. The strength of this book definitely comes from the art. Renato Guedes once again brings it in his art. Every single panel of this book is gorgeous. Not only do the characters look great but the backgrounds are done beautifully. The scene where Jack takes on a lion in front of his fellow tribe mates is breathtaking. My favorite panel is one of Doctor Mirage holding Jack’s scythe in an attempt to find him. Seeing her sitting on the floor with it , your eyes are drawn to the scythe and it is drawn and detailed so well. I cannot say enough about the art. My one issue with the book was the way the villain that Jack encounters in Africa was written. He seemed out of place. He didn’t feel menacing at all. I wasn’t scared of him or intrigued by him. I just felt like he was there to just be there. Besides the flaws, I did enjoy this book and I do want to see where it goes.